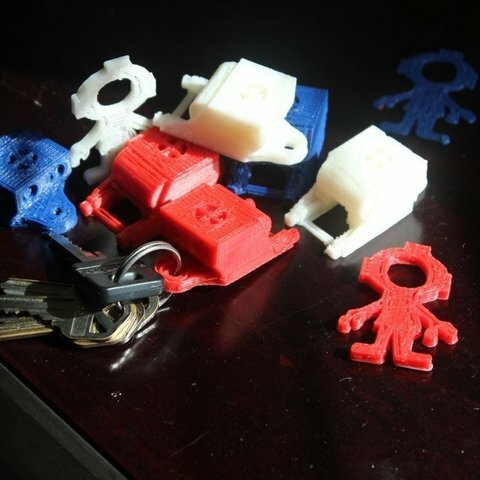 These are some OpenROV themed keychain trinkets that I designed in Sketchup. One trinket is the ROV model itself and the other is a little diver dude in a couple of different variations; with or without snorkel and one designed to stand upright. 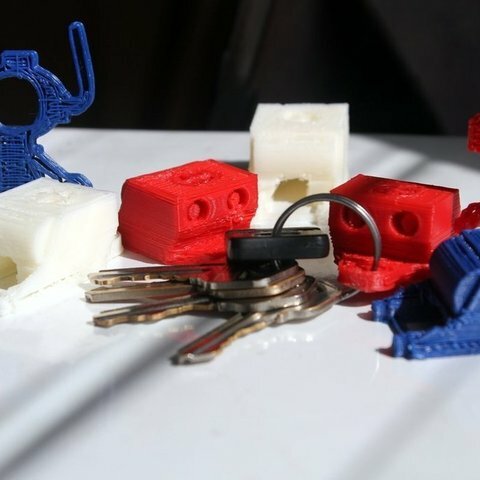 The ROV model is pretty rough, but at the dimensions I was printing the detail was lost anyway so I just eyeballed the general shape from my previous thing http://www.thingiverse.com/thing:28277.